Heike Kamerlingh Onnes (September 21, 1853 – February 21, 1926) was a Dutch physicist who studied the properties of materials at extremely low temperatures. He was the first to liquefy helium, a feat for which he was awarded the Nobel Prize. He also made important discoveries in the field of superconductivity. Born in Groningen, Netherlands, Kamerlingh Onnes was the eldest of three children of Harm Kamerlingh Onnes, a brick manufacturer, and Anna Gerdina Coers of Arnhem. In 1870, Onnes was admitted to the University of Groningen to study mathematics and physics. He worked under Robert Bunsen and Gustav Kirchhoff at the University of Heidelberg from 1871 to 1873. Again at Groningen, he obtained his masters degree in 1876, and a doctorate in 1879. His thesis was "Nieuwe bewijzen voor de aswenteling der aarde" (tr. New proofs of the rotation of the earth). From 1878 to 1882 he was assistant to Johannes Bosscha , the director of the Polytechnic in Delft, for whom he substituted as lecturer in 1881 and 1882. In the late 1870s, Onnes came across papers by Johannes van der Waals on the equation of state of a molecular fluid, and as a result, redirected his efforts toward theoretical research on gases. In 1881, he derived an expression for the equation of state of a fluid equivalent to that of van der Waals, but arrived at by a different path. From 1882 to 1923, Kamerlingh Onnes served as professor of experimental physics at the University of Leiden. His inaugural lecture in Leiden indicates his emphasis on the experimental side of physics. "In my opinion," Onnes said, "the striving for quantitative research, which means the discovery of measureable relationships among the phenomena, must be in the foreground of the experimental study of physics." Onnes married Maria Adriana Wilhelmina Elisabeth Bijleveld in 1887, and the couple had one child named Albert. Among Onnes's students was Pieter Zeeman, who was studying the interaction between optics and magnetism. In Onnes's laboratory, Zeeman was able to demonstrate that the spectral lines produced by heating sodium in a flame would divide in the presence of a magnetic field. This is now known as the Zeeman effect, and Onnes himself announced the results of Zeeman's research in 1896. In 1904, Onnes established a very large cryogenics laboratory at the University of Leiden and invited other researchers to visit, which made him highly regarded in the scientific community. Helium was first identified in 1869 through the presence of a spectral line from the sun's light that did not conform with that of the element sodium. It was not until 1895 that the element was identified by William Ramsay from a terrestrial source. Ramsay was analyzing a sample of pitchblende, and noticed the bright yellow line in its spectrum that conforms to helium. Helium is one byproduct of the nuclear decay of uranium, thus accounting for its presence in pitchblende, which is a uranium ore.
Other sources were found for helium, and eventually, a very large sample of the gas was put into Onnes's hands. Others, including Sir James Dewars, who liquefied hydrogen for the first time in 1898, were on a race to produce the first sample of liquid helium. But Onnes had identified and addressed the many challenges to the goal, particularly the maintenance of the purity of the sample. Onnes was finally able to carry out the liquefaction of helium in 1908. Using the Joule-Thomson effect, in which a gas cools upon expansion, he lowered the temperature to less than one degree above absolute zero, reaching 0.9 K. At the time this was the coldest temperature achieved on earth. Until 1923, Onnes's laboratory was known as the only one able to produce liquid helium. In 1911, Onnes conducted an electrical analysis of pure metals (mercury, tin and lead) at very low temperatures. Some, such as William Thomson, believed that electrons flowing through a conductor would come to a complete halt. Others, including Kamerlingh Onnes, felt that a conductor's electrical resistance would steadily decrease and drop to nil. Ludwig Matthiessen (1830-1906) pointed out when the temperature decreases, the metal resistance decreases and then becomes constant with further decrease in temperature. At 4.2 kelvin the resistance was zero. The drop to zero was experimentally observed to be abrupt. Kamerlingh Onnes stated that the "Mercury has passed into a new state, which on account of its extraordinary electrical properties may be called the superconductive state." He published more articles about the phenomenon, initially referring to it as "supraconductivity," and later adopting the term "superconductivity." In one experiment, Onnes was able to magnetically induce an electric current in a super-cooled conductor that persisted for several hours without diminution. 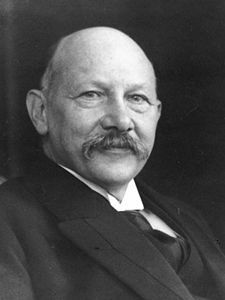 Kamerlingh Onnes received widespread recognition for his work, including the 1913 Nobel Prize in Physics for (in the words of the committee) "his investigations on the properties of matter at low temperatures which led, inter alia, to the production of liquid helium." Kamerlingh Onnes died in Leiden on February 21, 1926. His student and successor as director of the lab Willem Hendrik Keesom was the first person to solidify helium that same year. Kamerlingh Onnes's ability to diagnose the challenges in an experimental procedure and garnering the resources to meet those challenges allowed him to succeed where others who were as well positioned to do so by their knowledge, failed. The fact that he was able to procure a sizable supply of helium which, in the first decade of the twentieth century, was hard to come by, is a testimony to his ability to network, make contacts and form relationships. It is reminiscent of James Chadwick's procurement of a supply of polonium large enough to be used to unravel the identity of the neutron. In such cases, only through solid, longstanding relationships based on trust could these scientists bring success to their endeavors. Some of the instruments he devised for his experiments can still be seen at the Boerhaave Museum in Leiden. The apparatus he used to first liquefy helium is on display in the lobby of the physics department at Leiden University, where the low temperature lab is named in his honor. The Onnes effect refers to the creeping of superfluid helium. A crater on the Moon has been named the Kamerlingh Onnes crater International Astronomical Union. Kamerlingh Onnes, H., "Algemeene theorie der vloeistoffen." Amsterdam Akad. Verhandl. 21, 1881. Kamerlingh Onnes, H., "On the Cryogenic Laboratory at Leyden and on the Production of Very Low Temperature." Comm. Phys. Lab. Univ. Leiden 14, 1894. Kamerlingh Onnes, H., "Théorie générale de l'état fluide." Haarlem Arch. Neerl. 30, 1896. Kamerlingh Onnes, H., "On the Lowest Temperature Yet Obtained." Comm. Phys. Lab. Univ. Leiden, No. 159, 1922. ↑ Arno Laesecke, and H.K. Onnes. 2002. "Through measurement to knowledge: The inaugural lecture of Heike Kamerlingh Onnes" in Journal of research of the National Insitutes of Standards and Technology. 107:3. ↑ Chester L. Dawes, 1920. A course in electrical engineering. Vol. 1. Direct currents. New York: McGraw-Hill. 31. Berkel, Klaas van, Albert Van Helden, and L. C. Palm. 1999. A history of science in the Netherlands survey, themes, and reference. Leiden: Brill. ISBN 9004100067. Ekspong, Gosta, Tore Frängsmyr, and S. Lundquist. 1992. Physics. Nobel lectures, including presentation speeches and laureates' biographies. Singapore: River Edge, NJ. ISBN 9810207263.
de Bruyn Ouboter, Rudolf. 1997. Heike Kamerlingh Onnes’s Discovery of Superconductivity. Scientific American. 276:3:98-103. Laesecke, Arno. 2002. Through Measurement to Knowledge: The Inaugural Lecture of Heike Kamerlingh Onnes (1882). Journal of Research of the National Institute of Standards and Technology. 107:3:261–277. Retrieved December 9, 2007. Reif-Acherman, Simón. 2004. Heike Kamerlingh Onnes: Master of Experimental Technique and Quantitative Research. Physics in Perspective. 6:2:197-223. Retrieved December 9, 2007. Levelt-Sengers, J.M.H., 2002. How fluids unmix : discoveries by the School of Van der Waals and Kamerlingh Onnes. Amsterdam, NL: Royal Netherlands Academy of Arts and Sciences. ISBN 9069843579. Retrieved December 21, 2007. Kamerlingh Onnes, Heike, Kōstas Gavroglou ed., and Yorgos Goudaroulis ed. 1991. Through measurement to knowledge: the selected papers of Heike Kamerlingh Onnes (1853-1926). Boston, MA: Kluwer Academic Publishers. ISBN 0792308255.
International Institute of Refrigeration (First International Commission). 1936. Rapports et communications issus du Laboratoire Kamerlingh Onnes. Amsterdam, NL: International Congress of Refrigeration. Physics 1913 – Nobel Prize official site. About Heike Kamerlingh Onnes – Nobel-winners.com. History of "Heike Kamerlingh Onnes"
This page was last modified on 12 December 2017, at 17:43.